In the words of Europe, "it’s the final countdown!” Now that September is upon us, it’s only a matter of days until the DJ industry converges on the Birmingham NEC for the annual BPM and PRO exhibitions. As we all prepare to de-camp to Brum for a few days, this issue of Pro Mobile should hopefully whet your appetite for what to expect this year. We have a bumper edition of reviews featuring new products that will all be on display at the NEC. We were pleased to get one of the first ever demos of the highly-anticipated new Bose F1 flexible array loudspeaker system and I had lots of fun testing out Showtec’s FX Shot confetti cannon firing system. We’ve also got a review of CHAUVET DJ’s distinctive SlimBEAM Quad IRC up-lighting effect, amongst a number of others. 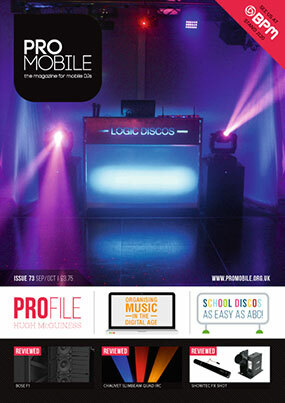 This issue is also packed with mobile DJ-related articles covering everything from school discos to organizing a music collection; daring to be different to the history of the microphone! Scottish wedding host and DJ Hugh McGuiness shares his story: from early DJ experiences to his current position as sought-after professional. Following his recent quest to find the ultimate method for organising digital music for DJing, Mark Walsh explains why knowing your DJ software and getting creative with your track-tagging are the keys to keeping things fresh behind the decks. Richard Lee, well-respected mobile DJ and label manager for Mastermix, shares the story of how he came to be a DJ and identifies a lesson to be learnt from his experiences back in the 80s. School Discos - As Easy As ABC! Richard Welsh explains how primary school discos can be very challenging, but also rewarding, and divulges his tips for keeping the children engaged throughout. In the latest installment of his 'Adventures of a mobile Disco Pioneer', Roger Squire recounts a story of his close brush with gangsters back in the late 60s. Derek Pengelly documents the history of one of the DJ's most important tools - the microphone, also explaining why it is so important to make the right decision when choosing a mic. In the first part of a new article series, 'Ian D' Smith recounts the story of his rise to prominence in the 90s dance scene, applying the lessons learnt to the modern mobile DJ business. 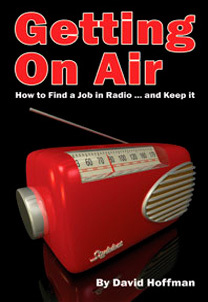 In this installment of his regular article series, Richard Linton talks about gear and getting paid. Derek Pengelly, Hugh McGuiness, Ian Smith, Mark Walsh, Richard Lee, Richard Linton, Richard Welsh and Roger Squire.